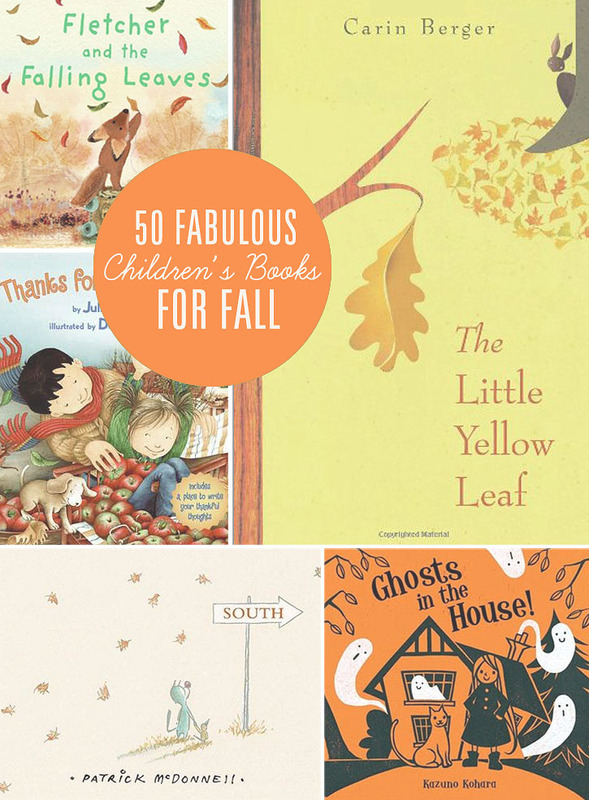 50 Fabulous books to read with your kids this Fall! Fun favorites that kids and parent will both enjoy. 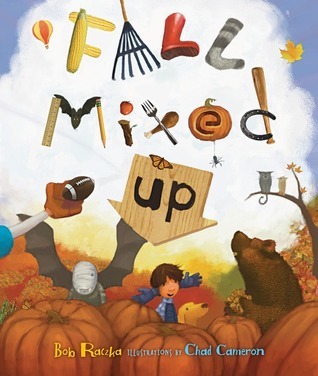 I love finding new books to enjoy with my kiddos and with Fall quickly approaching I went on the hunt for some fun fall titles to read with them. Over the course of a few weeks we ordered all 50 of these books from our local library and have definitely found some new family favourites! Here’s our list of 50 fabulous books to read this Fall and a short review of each of our very favourites! 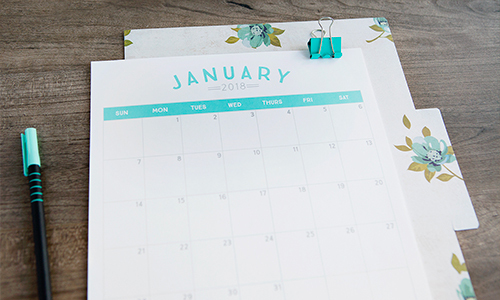 Scroll down to the bottom of this post for a printable list of all 50 titles. Enjoy! This book was voted our #1 favourite book for Fall. I fell head over heals in love with its beautiful illustrations! Each page of this book truly is a work of art! 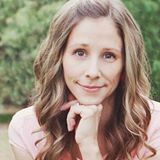 This sweet story about finding the courage to face the unknown and the friends that are there to help us along the way will be one I’m purchasing to add to our family library as soon as possible. Fall Mixed Up! had all of us giggling each time we read it – and we’ve read it A LOT! It was a hit with my ten year old all the way down to my toddler. The silly rhymes and mixed up story line along with its beautiful illustrations make this book a Fall favourite for sure! 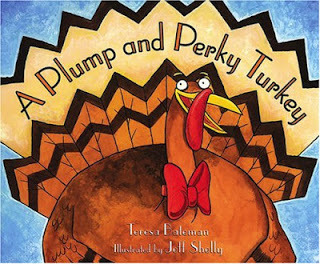 Another silly book for Fall, A Plump and Perky Turkey is such a fun read! The rhythmic poetry makes this the perfect read aloud story and the silly storyline is definitely a crowd pleaser. I found myself thoroughly entertained as I read this book with the kids! 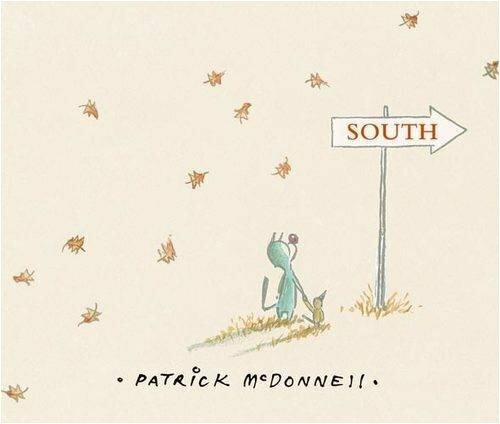 Without a word, this sweet book tugs at the heartstrings sharing valuable lessons about change, friendship and goodbyes. I loved this book with all its the darling illustrations and the way it opened up some really thought provoking dialogue among my children. I’m a sucker for clever rhyming books and we all loved this book and it’s clever rhymes so much. 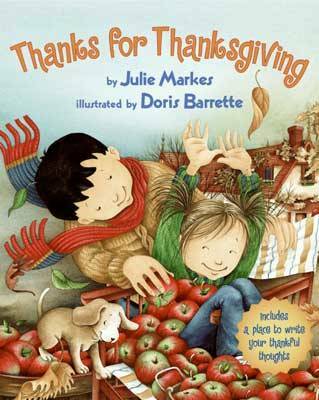 The illustrations are gorgeous – the rich colours and detail truly capture the essence of Fall and Thanksgiving. I loved how reading this book with the kids opened up a whole conversation about the things each of us are thankful for. I can’t wait to read this with my kids again and again as Thanksgiving approaches. You can download a printable list here of all 50 Fall books to tuck in your purse for the next time you’re at the library or local bookstore! And there you have our list of favourite children’s books for Fall. I hope you have as much fun exploring this list as I had putting it together! Do you have a favourite Fall book that’s missing from this list? Be sure to leave a comment and tell us what it is! I really like ” the little old lady who was not afraid of anything” It is a fall/halloween book about a lady who goes for a walk in the woods, and finds she is being followed, she returns home and sets the shoes, hat, pants, shirt and pumpkin head that follow her home to work scaring crows in her garden. Another book that I love the illustrations in the story is “The Pumpkin Blanket”. It’s a story of a girl with a favorite blanket that over time gets cut down and ends up covering the pumpkins from frost, very sweet story of growing up. Thank you so much for this post. I want to let you know that I posted a link to your blog in CBB Digital Scrapbooking Freebies, under the Page 3 post on Sep. 27, 2012. Thanks again. Fabulous photos, and a wonderful list of childrens books. Thank you for compiling a list that I will use! Thank you so much for this post. I want to let you know that I posted a link to your blog in Creative Busy Bee Craft Inspirations, under the Page 1 post on Sep. 27, 2012. Thanks again. I have an addiction to Christmas picture books. I add a new one to my library every year. My kids are 21, 19 and 14. What does that say about me? I rarely comment on blogs, and I don’t think I’ve ever replied to another person’s comment, ever. But yours made me smile, and I had to say something. I feel the same way about Christmas picture books. Granted, my kids are younger than yours are (6, 8 and 10), but I really don’t foresee myself ever stopping the Christmas picture book collecting. 🙂 Blessings to you! Who knew there were so many that were specific to fall. I guess I need to head to the library. Great list Rebecca! Thanks for the list! I love this. I am always trying to find books for my sons to read. Thanks Rebecca! I just put holds on a bunch of them at our local library. Looking forward to cuddling with my boys and reading them. I adore this list! I love seasonal reading, off to the library tomorrow! Wonderful list, thanks for compiling and sharing it! Free Fall by David Wiesner is a fall favorite around here. Rebecca, thank you so much for taking the time to write this post! We enjoyed so many of the books from your last list. I’ve printed this new list and am ready to make the reservation list for library books. 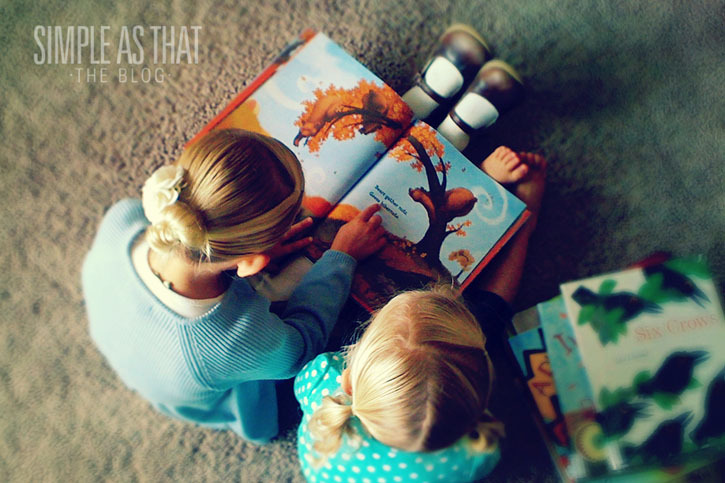 Super cute photos of your girls reading too! I just love book posts … thank you for this, Rebecca! And I agree: The Little Yellow Leaf is one of our favorites, too. It was given to us as a gift and it’s a fall coffee table book for The Boy! What a great list! Thanks for sharing. 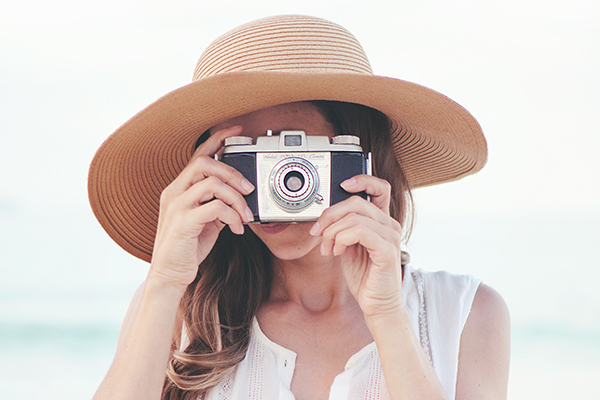 The photos of your girls are so sweet! Which one is the book photographed in the 2nd photo? I love the numbers and illustration and it’d be great for my 2YO to learn more vocab! Tremendous list! 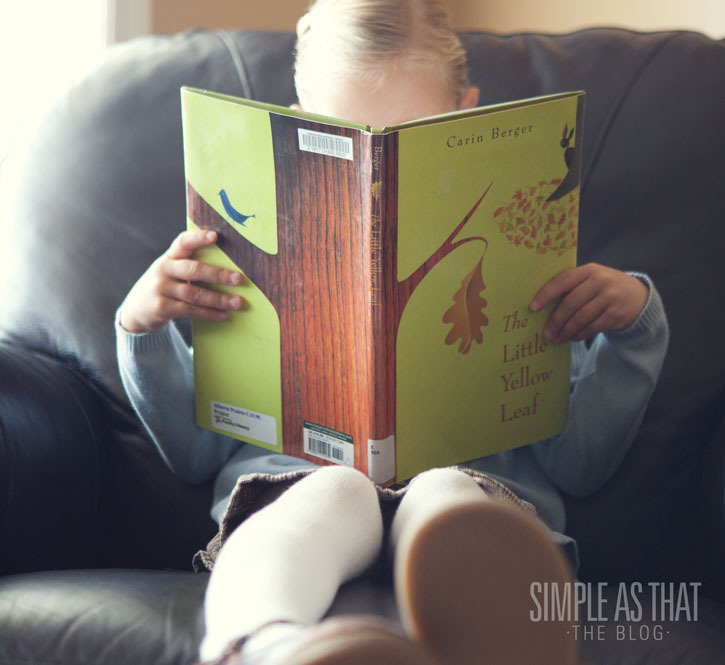 What a great list of books, accompanied by the sweetest pictures of your kids reading them. Sweet and inspiring the books and your photography. Great list! Thanks for sharing. I love seeing what other families are reading. In fact, I just did a post about our favorite books, too. Not all fall related, but what my three girls have been reaching for time and again. It’s always nice to get some fresh ideas. Thanks for taking the time to put this list together! Thank you so much for the list. I take my girls to the library every week and now that we are (finally) about to get cooler here in CA we can look for this list of books! You’ve given such a great list for our next library visit! Thanks. Thank you so much for this list of wonder books! Thank you so much for this list of wonderful books! I just want to say I love this post so much! I printed out your list and took it to the library and we’ve been working through all the books! I love that some are Halloween specific, which we’ve been getting recently, some are Thanksgiving and some are generic fall. I really hope you do a similar list for Winter and/or Christmas! Spookley the Square Pumpkin by Joe Troiano is a fantastic fall book! Great list! I’m out of the child-rearing years but still appreciate good picture books. Too Many Pumpkins was one of our favorites, and until my daughter went away to college, we still read it ever year around Halloween. The Biggest Pumpkin Ever is also cute. Last year, I posted a short list of Halloween reading for all ages, which has a few books for older children and young adults as well as adults. Thanks so much for this list! I instantly requested a bunch of your selections from the library. Oh my gosh! LOVE this list! I’m a kindergarten teacher and I LOVE fall, but for some reason don’t have enough books. I’m loving so many of these. I bought Ghosts in the House by Kohara last year and it’s one of my new faves-so cute and sweet. Leaves is another really really good one! Great post! Thanks for sharing. Awesome list. I am ordering Ghosts in the House! from Amazon asap. We are also reading Earl the Squirrel and Cranberry Thanksgiving. My favorite that I’ve been reading to my baby is “This is NOT a Pumpkin!” I think your youngest would love it! It’s really cute. I know a lot of books, but many of these were new to me. Thanks for sharing! Thanks for the great list! 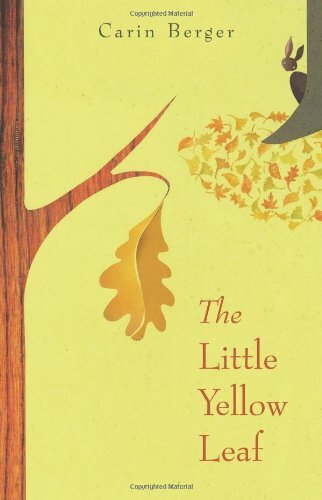 I have never read The Little Yellow Leaf, so I am definitely going to need to check that one out. 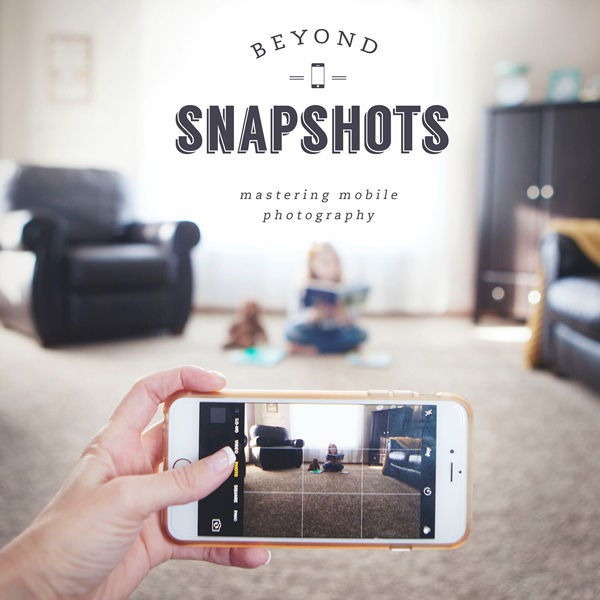 Your photos are amazing, too! I just love the book Leaf Man by Lois Ehlert. Thank you so much. Going to the library before my 8 grandkids come for Thanksgiving was on my to do list. I sat down this morning on our library’s website and reserved several. Reading together is our favorite activity.